A total of 22 players participate in a match and a maximum of one from each team is declared ‘Player of the series’ due to his consistent performance. England is visiting India currently and will be involved in a four Test series against the hosts, starting from November 15, 2012, at Ahmedabad. We will review the achievements of the ‘Player of the series’ in the last two encounters between the two countries held in 2008 and 2011. Pataudi Trophy 2008-09, was staged in India, it comprised just two Tests and England lost it by 0-1. 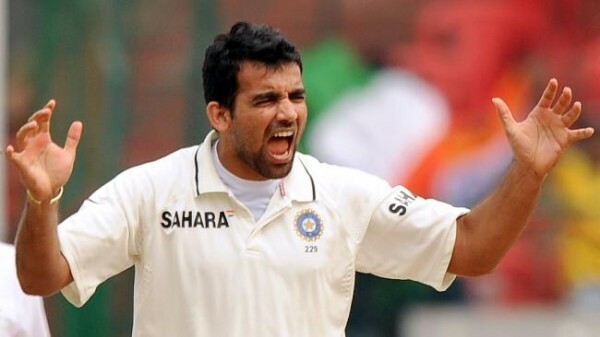 Zaheer Khan (India) was declared ‘Player of the series’ for his outstanding bowling performance in the two matches. He secured eight wickets at a brilliant average of 21.00 per wicket having the best of 3-40 in an innings and 5-81 off a match. Below, we will describe his accomplishment in two Tests. 1st Test was played at MA Chidambaram Stadium, Chepauk, Chennai, on December 11, 12, 13, 14 and 15, 2008. 2nd Test at Punjab Cricket Association Stadium, Mohali, Chandigarh, played on December 19, 20, 21, 22 and 23, 2008. 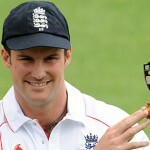 Pataudi Trophy, 2011 was held in England, a total of four Tests were played and the series was clinched by the Hosts 4-0. Rahul Dravid (India) and Stuart Broad (England) were declared jointly ‘Player of the series’. Rahul Sharad Dravid (India) was the only Indian batsman who stood firm against the deadly pace bowling of England whereas all his team mates looked timid throughout the series. Dravid hammered 461 runs in 8 innings at a superb average of 76.83, the best of unbeaten 146 comprising three tons. Stuart Christopher John Broad (England) impressed with his all round performance in four Tests and was rightly declared ‘Player of the series’. He was the highest wicket taker from either side by grabbing 25 wickets at an awesome average of 13.84 runs per wicket with the best of 6-46 in a match and 8-76 in a match. 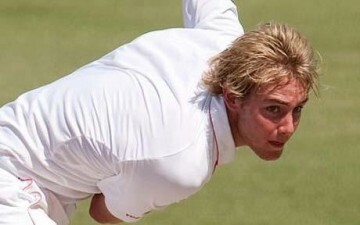 Broad scored 182 runs at a cracking average of 60.66, the best of unbeaten 74 with two fifties. 1st Test at Lord’s, London, played on July 21, 22, 23, 24 and 25, 2011. 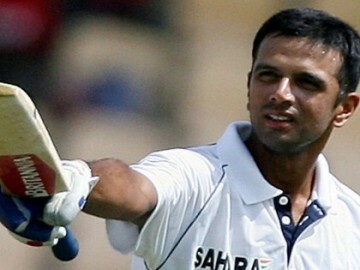 1st innings – Dravid 103* (15×4) off 220 balls, India 286 all out. England 2nd innings 6-269 declared. Result – England won by 196 runs. 2nd Test at Trent Bridge, Nottingham, held on July 29, 30, 31, August 1, 2011. Result – England won by 319 runs. 3rd Test at Edgbaston, Birmingham, played on August 10, 11, 12 and 13, 2011. Result – England won by an innings and 242 runs. 4th Test at Kennington Oval, London, played on August 18, 19, 20, 21 and 22, 2011. Result – England won by an innings and 8 runs. 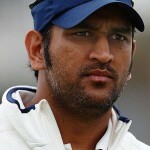 Keep guessing who the ‘Player of the series’ will be after the conclusion of the fourth Test among Sachin Tendulkar, Virat Kohli,Virender Sehwag, Gautam Gambhir, Zaheer Khan, Ravichandran Ashwin, Alastair Cook, Ian Bell, Kevin Pietersen, Stuart Broad, Tim Bresnan and Graeme Swann or anyone else.